So-called Cattle Kate Rises from Rubbish Evidence points toward Ella Watson’s innocence. 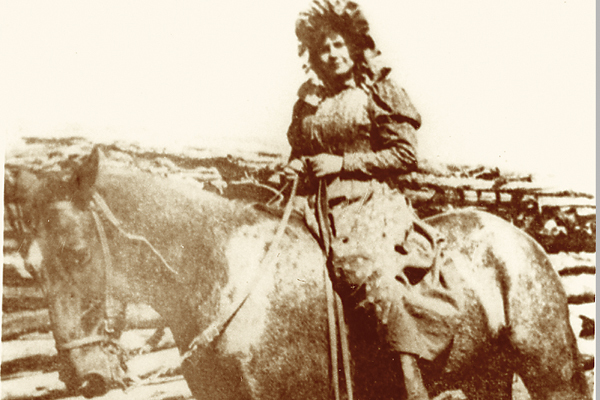 Uncovered evidence strongly supports Ella’s ownership of the cattle she was accused of stealing, while stories about her being a loose and wild woman were clearly concocted by her killers. On top of that, authorities never brought the accused killers to trial because witnesses mysteriously died or disappeared before they could tell the court what they’d seen. And on a sunny Saturday in 1889, it’s believed that powerful Wyoming ranchers murdered Watson because she had gotten in their way. Ella was born in Canada on July 2, 1861, the oldest of 10 children. Her family moved to Kansas, where she married at 18 to a man who abused her. After her divorce, she went to Denver, Colorado, then Cheyenne, Wyoming, and finally to Rawlins, where she worked as a cook and domestic for two years at the Rawlins House. Some erroneously thought this was a brothel and labeled her a prostitute, confusing Ella with a known prostitute of the time who had the same name. It was at Rawlins House in February 1866 that Ella met James Averell, a widower with a homestead claim in the Sweetwater River Valley, where he’d established a road ranch and general store. The couple dreamed of marriage, but Ella also dreamed of owning her own homestead on adjoining land—one precluded the other, since the law only allowed one claim per family. On May 11, the couple traveled 100 miles to Lander to obtain a marriage license, forever keeping their union secret to protect their plan to become large landowners. In August, Ella filed a “squatter’s claim” on 160 acres along Horse Creek, then built a two-room log cabin and dug irrigation ditches. The next month, Jim filed a claim for his irrigation ditch from the creek. None of this sat well with their neighbors. Cattle baron Albert Bothwell irrigated a hay meadow from Horse Creek and ran cattle on nearby land—land he didn’t own but was using anyway. He apparently hadn’t anticipated anyone laying claim to the land—especially a woman—and wanted no restrictions on the precious water from the creek. He repeatedly offered to buy Ella’s claim, but the feisty woman wouldn’t sell. Ella was building a nest egg to buy cattle by selling dinners at Jim’s roadhouse for 50 cents each and working in the general store. Her secret husband, meanwhile, was making extra income from his new job as the Sweetwater postmaster—a position of respect that added weight to his words. Jim began writing letters to the editor of the Casper newspaper, in which he called his neighbors “land sharks” and openly charged them with filing illegal land claims under the guise that they were “improving” the property when they were merely moving a portable cabin from one claim to another. Jim and Ella felt their neighbors’ wrath when they each tried to get brands approved for their emerging herds. Without an approved brand from the commission controlled by the cattlemen, cattle were fair game for poachers. Ella’s request was denied, while Jim received his fifth rejection since his first request in 1885. Even without a brand, Ella started her herd. In the fall of 1888, she bought 28 head from a man driving the cattle from Nebraska to the Salt Lake area. Ella did not record a bill of sale–she claimed it was in a safe deposit box in a bank, but it was never found. Then on March 23, 1889, with her improvements and herd in place, she filed her official homestead claim—she and Jim now owned more than 320 acres. Soon after, she did an end-run around the brand commission, buying an existing brand from a nearby rancher. By July, she had 41 head of cattle wearing her “LU” brand. Bothwell had to know Ella had owned most of those cows for nearly a year, but he called his fellow cattlemen together; one verified the brands were new, and six men took the matter into their own hands. Joining Bothwell were Ernest McLean, Robert Galbraith, John Durbin, Robert Conner and Tom Sun. At Ella’s ranch, Durbin reportedly was so angry that he started tearing down her fences and driving the cattle out, 14-year-old John DeCorey said. 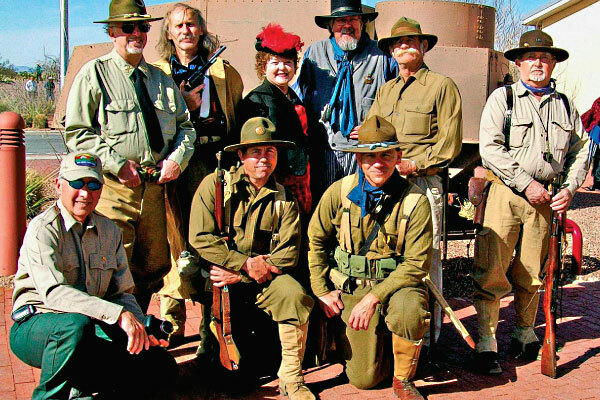 About that time, Ella returned home from a nearby Shoshoni encampment, where she’d bought a pair of intricately beaded deerskin moccasins, reports Lori Van Pelt in the 2003 Wild Women of the Old West. From there, the group went to Jim’s place, forcing Jim into the wagon. Having been alerted by the boy, cowboy Frank Buchanan rode after the lynch party. Buchanan saw Bothwell tie a rope around Jim’s neck, while McLean tried to rope a kicking and screaming Ella, wrote Dorothy Gray in Women of the West. Buchanan said he shot at the men—emptying his revolver twice—but faced returned gunfire from Winchesters. He frantically rode to the ranch to tell what was happening and then fetched the sheriff. Some of Ella’s friends tried to set the record straight. DeCorey declared in a letter to the Casper Weekly Mail that the cattle were legally hers: “She bought them and paid her own money for them and had them in her possession ever since I had been with her,” Van Pelt reports. 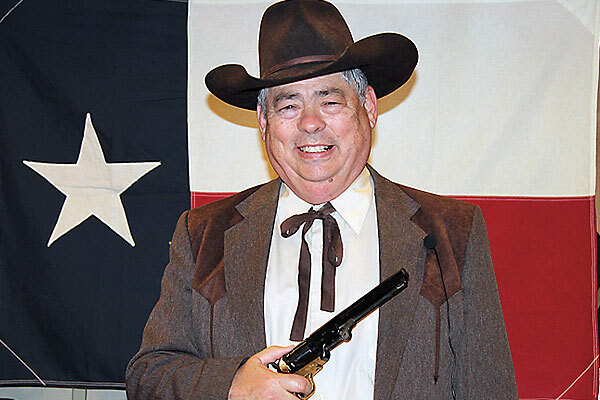 Another man, John Fales, came forward to say he’d driven the purchased cattle to Jim’s ranch. Yes, the ranchers were indicted, but they never went to trial. Although several witnesses had identified them, all either disappeared or died mysteriously. Jim’s nephew died, possibly of poisoning, on the very day he was scheduled to testify. The cowboy was said to have wandered all over the country, hiding and fearing for his life from the Wyoming ranchers; the young boy left town and never was heard from again. Gray notes that this lynching was one of the opening skirmishes in Wyoming’s notorious Johnson County War, pitting the stockholders against the rest of the citizens. The court-appointed administrator for the estates of Ella and Jim filed suit against Albert Bothwell and John Durbin for the return of 41 head of cattle—the same cattle the men had claimed were stolen and used as the excuse for the lynching. The suit was never acted upon, Van Pelt reports. Ella’s land was sold at auction by her father but eventually ended up in Bothwell’s hands. So did Jim’s land. Bothwell is said to have moved his house onto Ella’s claim. As Van Pelt notes, the killers went on to live long and successful lives. The same year as the lynching, both Bothwell and Sun were elected to the executive committee of the Wyoming Stock Growers Association and Robert Galbraith was elected to the Wyoming Territorial Legislature. On the 100th anniversary of Ella’s death in 1989, her family held a reunion in Casper and openly discussed the event with historians. “Watson’s relatives believe [Ella] was murdered by rough neighbors, cattlemen so enraged by the fact that she and James Averell homesteaded in the middle of prime pasture near a creek with a good supply of water that the stock owners resorted to their own deadly solution,” Van Pelt notes. But others say the evidence stacks up nicely in her corner—revealing that a 28-year-old woman who was murdered has been unjustly maligned all these years.